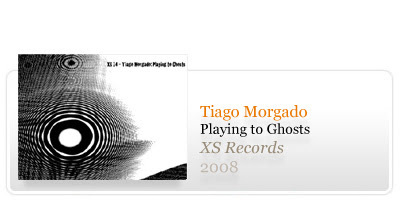 [xs-14] Tiago Morgado - Playing to Ghosts You are in the middle of nothing.you are surrounded by the darkness and the emptiness of your mind, surrounded by ghosts. your ghosts, not the ghosts of anyone else. you want to run, but you cannot hidde from yourself. and then, at the end of a tunel, you see yourself highlighted with a piano, in the middle of a theatre. you want to play, but you cannot because there is not anyone to listen to you. only your ghosts are sitted in the middle of the audience. then, when the concert ends up, you wake up. you see that you were not sleeping. and then you want to continue with your routine, but you are not able to because you feel empty and tired of living and bleeding the dreams of someday. 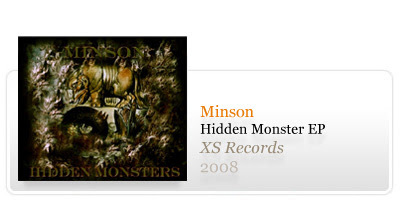 We’re glad to anounce that the minson Hidden Monsters EP, released in March, is finally available for listening. here we have a text present on the cover which induces us in the mtihologycal theme of the album.